CEO Represents WI at National Apprenticeship Council | KLH Industries Inc.
On April 4th, KLH CEO/President Kenneth Heins represented Wisconsin at the National Institute for Metalworking Skills Apprenticeship (NIMS) expert panel held in Tampa Bay, Florida. The panel was to determine if selected competencies were appropriate for several apprenticeships. Although Wisconsin is not NIMS accredited, it's strong apprenticeship background in both technical college and government led NIMS to invite a Wisconsin representative. Leveraging the knowledge base of leaders in their respective industries, there are 52 distinct NIMS certifications. 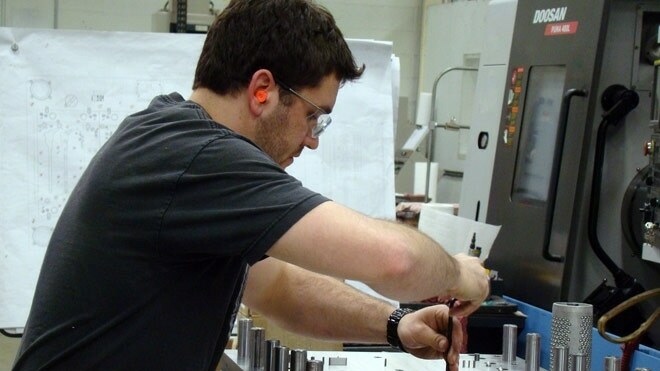 The NIMS program is a deviation from the current apprenticeship program in Wisconsin, as the apprentice is not certified by hours, but by demonstrating a standard of skills. According to the NIMS website, the competency-based apprenticeship program is "the result of two years of work. Over 300 companies participated in the deliberations and design." The NIMS National Guideline Standards for Apprenticeship have been approved by the United States Department of Labor.